Nothing says springtime in North Wales more than the crystal clear air being filled with the bleating of new-born lambs. Every year, more than 16 million lambs are born across the UK, but there is something special about those lucky enough to be born in Snowdonia. Starting in early March, lambing season dominates the view in the fields of Snowdonia, even distracting attention from some of the most breath-taking scenery to be found anywhere in Britain. And there’s no better way for families to enjoy the spectacle of lambs gambolling in the spring sunshine than from the warmth and comfort of one of our trains. Our new carriages are the best in the UK heritage sector, offering family-friendly seating bays, large double glazed windows and heating – all the modern creature comforts today’s visitors demand but with a heritage ambiance. There’s even at your seat buffet service including freshly-cooked food prepared on train using local produce. Lambs have been raised in Snowdonia since at least 4,500BC, when shepherds from mainland Europe reached Britain. Since then, we have relied on lambs for wool, milk and meat. The entire lambing process begins in the autumn when the rams are introduced to the flock. It doesn’t take long for nature to run its course and the rams begin tupping. Once pregnant, the ewes have a gestation period of around five months. During those five months it’s vital to check the flock on a daily basis to ensure they have plenty of grass, aren’t caught up in brambles or upside down in a ditch. These days, most farmers rely on four-by-fours or quad bikes to get around rather than on foot; the weather has occasionally been known to be inclement during a Snowdonian winter and some of the fields and hillsides can be rather large! The flocks’ diet is supplemented by hay during particularly unpleasant weather and the ewes receive supplements shortly before lambing to give them the energy they need. 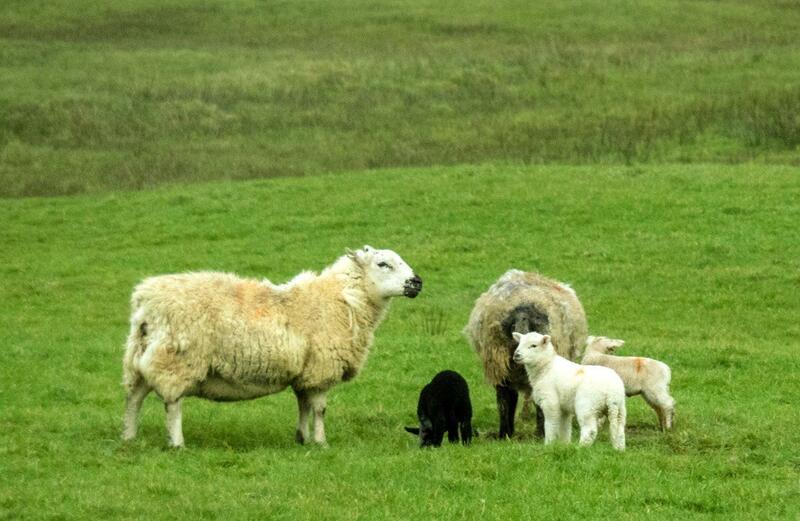 On average, each ewe has two lambs. When it comes to lambing, most farmers agree that it’s usually best to leave the ewes to it – if you get too close they sometimes run away, leaving the lambs behind. If they then can’t find the lambs they will almost certainly die. But occasionally, ewes can get stuck on their side after giving birth, meaning the lambs can’t get any milk, causing both ewe and lamb to die; so it’s always a good idea to keep an eye on them. When the time comes, the majority of ewes just get on with the job in hand and once they have lambed, the ewes lick the new-born wet lambs dry, after which they take their first wobbly steps. Sheep and lambs have been known to wander and, despite anti-trespass grids, they often take to the railway in search of greener grass – this is why you will occasionally experience one of our trains slowing down to allow strays to get out of the way. To keep track of which farm they belong to, they are numbered and colour coded with spray paint, which can result in some rather psychedelic looking lambs! But even after birth, lambs remain vulnerable to extreme weather and predators such as foxes; they have even been known to get stuck down badger setts. One of the best places for lamb watching on our railways is the stretch of the Welsh Highland between Porthmadog and Hafod y Llyn where the line crosses what was once the tidal estuary of the River Glaslyn, surrounded by pastures on both sides. 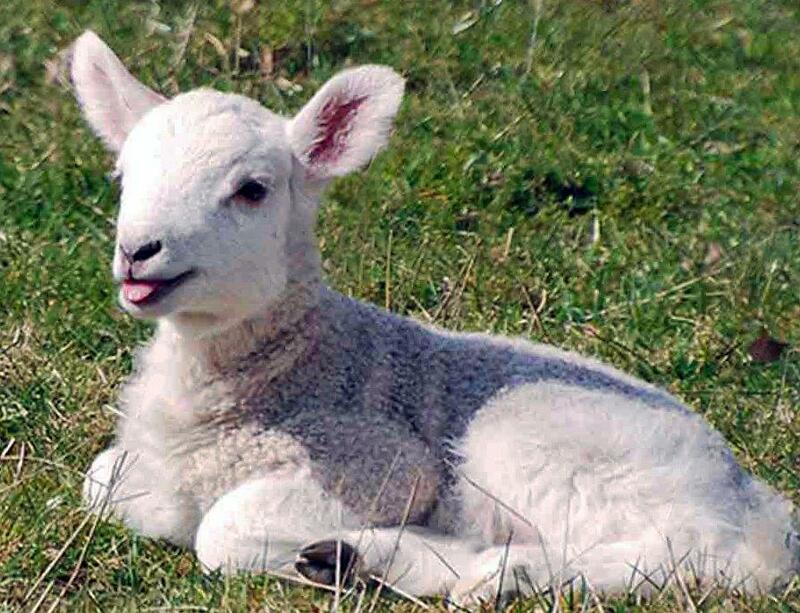 But there’s almost no stretch of the 40-mile railway where you won’t be able to indulge in a little lamb-spotting.